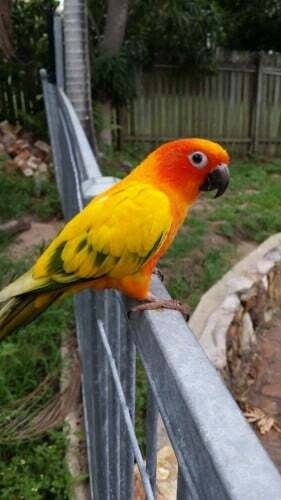 We have lost our pet Sun Conure Leo. His wings are yellow with a little green with blue/white tips. His body and head are red and orange. He likes to bop his head and step up on your hand when u say “step up”. Please help us find him – please let us know of any possible sightings via the Contact Form on this page or by phoning 0421 886 726. Please share Leo to your Social Media Accounts.